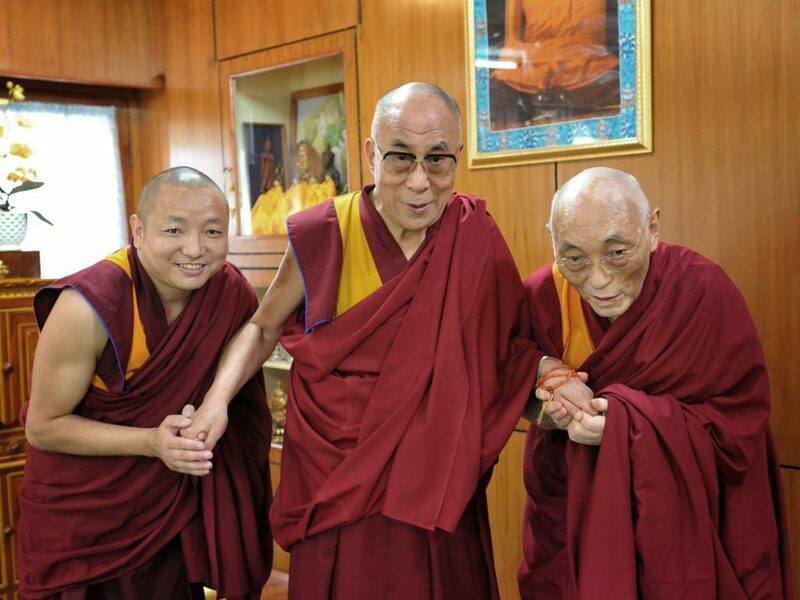 H. E. Choden Rinpoche was by all accounts of those who met him a living embodiment of the pure lineage of Buddha’s teachings; living a life filled with moral discipline, bodhichitta and quiet, profound wisdom. He was a perfect exemplar of how dedication to study, to practice can permeate one’s entire consciousness opening it to the primordial pure essence of being. A scholar of great repute who showed an immense knowledge and mastery of the vast treaties of the extensive Buddhist canon; and an equal ability as a debater on the finest details of Buddhist abhidharma, vinaya and madhyamaka, Rinpoche was a true representative of the Buddha. And yet, for all of his remarkable intellectual feats, H. E. Choden Rinpoche led a life of a simple, unassuming yogic monk—one who prayed constantly and held within his mind and heart the welfare of all sentient beings. Through his numerous empowerments, teachings and writings Rinpoche left us all with a legacy of what it means to live fully, what it means to live as a courageous bodhisattva, what it means to live within, yet beyond the confines of samsara. Dharma teachings came through him as if there were no filter between his true nature and the sacred words of the Buddha. Because of this, his teachings, the whole of his visionary life were and are an inspiration to all who heard him and were fortunate enough to be in his presence. It is up to us, his sangha, those who have been touched by his quiet, deep and ‘ordinary’ goodness to imbibe—to welcome wholeheartedly his love, compassion, and legacy into our lives. Through his example he gave and continues to give us encouragement, inner strength and a willingness to engage fully with each other and the world. His loving compassion, wisdom, and steadfast devotion to the Buddhadharma inspired all of us to become devoted Buddhist practitioners. Mastery of the Buddhadharma to live wholeheartedly the teachings of the Buddha, moment-to-moment, lifetime-to-lifetime for the welfare of all sentient beings. Living in serene simplicity, a life filled with contentment, gentleness and wisdom providing the example each of his dedicated students needed in order to accomplish the path, and to use all of life as a means to liberation. A lineage holder of the highest integrity, radiating blessings through his transmissions, empowerments and his constant meditative state, giving nourishment to the seed of Buddha-nature existing within each person who heard his teachings. May we all support efforts to build a thriving and flourishing sangha and organization; to keep alive and to systematically accomplish H. E. Choden Rinpche’s many projects: Nepal (name) Monastery; Bodhgaya (name) Stupa; Gyalten Translation Group for the publication of his and others writings and teachings; development of Five Types of Knowledge and the “building” of Awakening Vajra Interantional, a Buddhist organization to accomplish the vision and mission of H. E. Choden Rinpoche.